There are a couple of interesting events this week that you might enjoy. I know this is posted on a really short note and it might be over by the time you see this post, however if I download links to the presentations I will update the post afterwards! With Windows Azure, you can easily deploy and run Windows Server and Linux virtual machines on your own virtual network in the cloud. 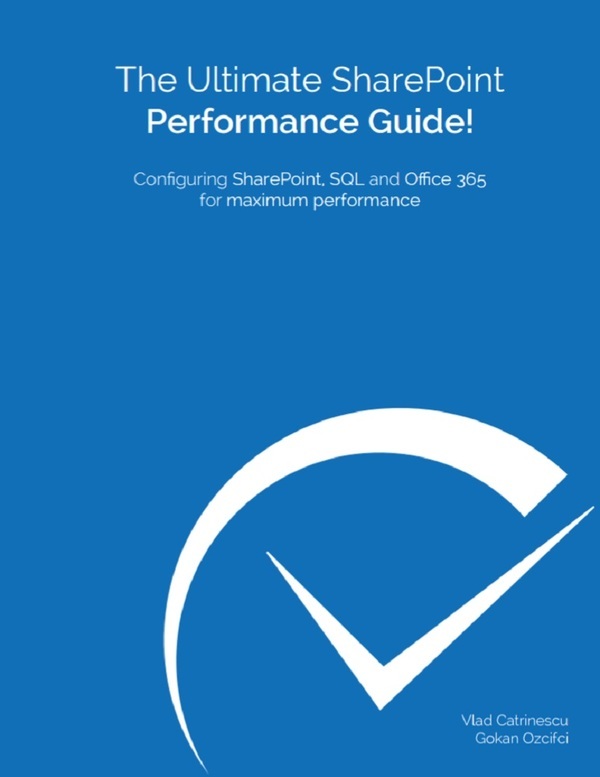 These capabilities can be really useful for several scenarios, such as: building virtual lab environments, piloting new software in the cloud, deploying hybrid IT applications that connect on-premises datacenter workloads with cloud-based VM’s … and MORE! Knowing how to deploy and customize SharePoint is becoming more of a commodity. However, getting people to actually use the SharePoint platform successfully is a very different skillset. What’s the magic behind successful SharePoint adoption strategies? Are there specific approaches that work for all organizations horizontally? Join SharePoint MVP and author, Christian Buckley as he walks through 10 features or solutions that are available out-of-the-box with SharePoint 2013, and which can instantly help your team to be more productive. 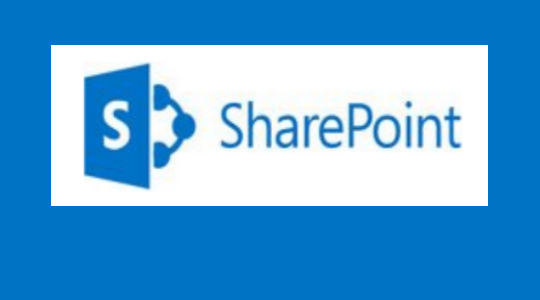 Geared toward business users and new administrators who want to make the most of their SharePoint investments, the session will help attendees better understand their business requirements, and how SharePoint can meet these needs. Need to learn Visual Studio, SharePoint, SQL Server and related technologies? Get it all and more with LearnDevNow, the most comprehensive online learning library for Microsoft developers. Subscribe today and pay JUST $49.99 for a full year of training. 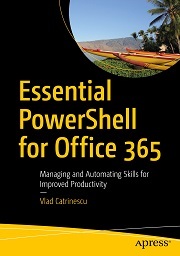  Learn directly from Microsoft MVPs and experts.  FREE! Future video releases, including new versions. 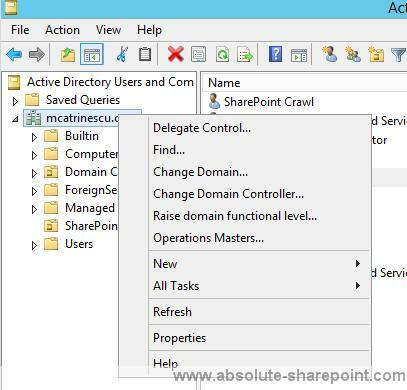 MVC 4.0, SharePoint 2013 and more. Good morning! Today at 1pm E we will begin our holiday contest. All you have to do is offer your thoughts / opinions about SharePoint 2013. If you know about more events, tell me in the comments and don’t forget to like us on Facebook here and to follow me on Google+ here and on Twitter here for the latest news and technical articles on SharePoint. Service Accounts are a very big part of installing almost every version of SharePoint, however everyone has a different way of setting them up. And once you install your SharePoint with a set of service accounts, it’s easier to do a clean install than to change them all. 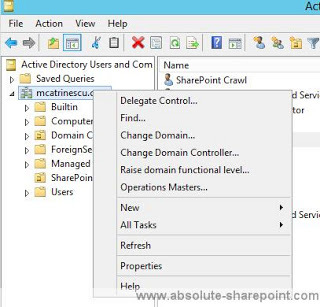 Every SharePoint admin you ask will probably have a different view of how many service accounts you need, how you should name them , and what permissions you need to give each one of them. Depending on the level of security you want to achieve in your SharePoint Farm, you can install everything with only one account (please don’t) , and you can make as many as 10 to 15 accounts. Even if all the SharePoint administrators have different views and different ways , it doesn’t mean one of them is wrong and one of them has the golden solution for every SharePoint farm. SQL_Service, for the SQL Server service. SQL_Admin, for the SQL Server administrator. SP_Admin, for the SharePoint administrator and setup user. SP_Farm, for the SharePoint farm service. SP_WebApps, for the user-facing web application app pool. SP_ServiceApps, for the service application app pool. SP_Crawl, default content access account. SP_UserSync, user profile synchronization account. SP_EnterpriseAdmin, powerful account for handling all kinds of high privileg operations. 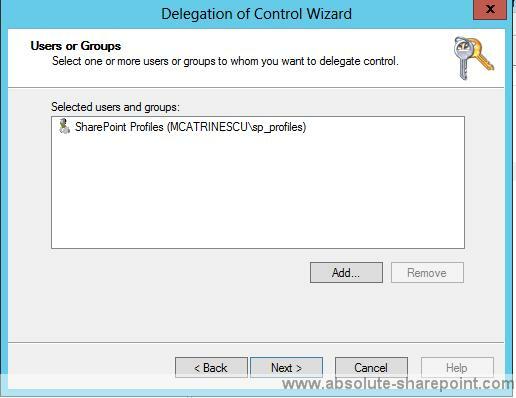 Farm administrators, normal admin user accounts are used as SharePoint Farm Administrators. I think there is a lot of security on the “farm admin” (SP_Admin, SP_Farm, SP_EnterpriseAdmin, Farm administrators), and there is some pretty basic stuff missing ex: Having an account for the windows search service, and a different one for the crawl. Then, I asked myself what would I do to make it better. How could we define a real set of service accounts that could fit any scenario, from a small development farm to a huge multi-tier farm. The answer is simply, you can’t! There is not one single set of Service Accounts that could be used because the security requirements for each scenario are different. But how can we define a set of Service account that while it keeps a certain standard of security, it also doesn’t use too many service accounts for what we need and respects the requirements of the client? 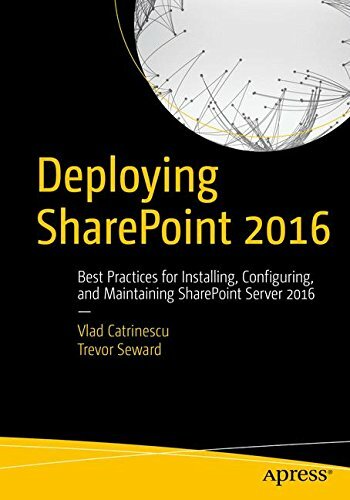 Some clients and companies will ask you explicitly to install and configure their SharePoint infrastructure according to Best Practices without even knowing what they are! So this is what I came out with: I made three different sets of Service Accounts that can be used for reference. Every set is for a level of security, Low Security, Medium Security and High Security. As you probably guessed, as you go higher on the security chart, you add more accounts and each of them has less privileges on the farm. I made this PDF (doing tables with Blogger is a real mess) and embedded it into the page (if you can’t see it, scroll to the end of the post, there is a download link). Please read it, and tell me what you think. I am really open to suggestions and want to hear your opinions on this delicate matter. 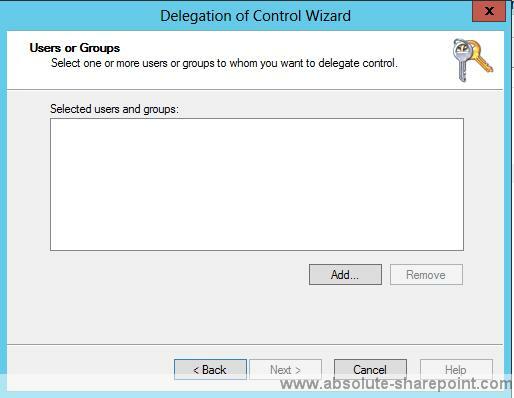 Please spread the word about this post using the buttons at the end so we can get the most visibility and most opinions on the very delicate subject of Service Accounts in SharePoint 2013. Please leave a comment to let me know what you think about this and don’t forget to like us on Facebook here and to follow me on Google+ here and on Twitter here for the latest news and technical articles on SharePoint. 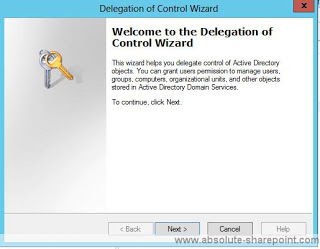 This guide is a step by step guide with Screenshots to give the “Replicating Directory changes” rights to the SharePoint user profile account that will be used to synchronize the user profiles.The screenshots were taken in Windows Server 2012, however the steps are identical or very similar in Windows Server 2008 and 2008 R2. 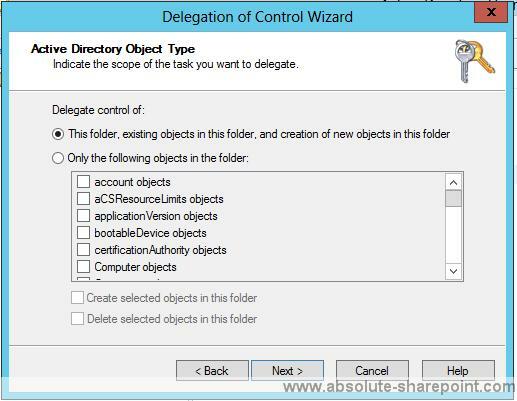 On the Permissions page, in the Permissions box, select Replicating Directory and then click Next. A few weeks ago, I did a post about the newly released path to MCSE SharePoint 2013 and I had many people ask me about the Developer Path. At the moment, I didn’t knew anything, however during an 1-hour presentation on the Microsoft Certified SharePoint Master program, there was a Slide containing info on the Developer Certification Exam. 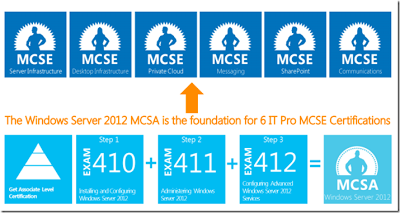 PS: At the time of this post, the MCSD SharePoint Certification Path is not on the Microsoft Learning Website! 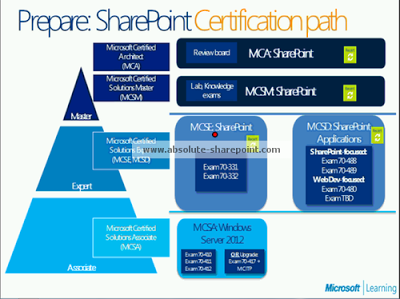 For the Microsoft Certified Solutions Developer (MCSD) in SharePoint you will need to pass 4 exams. Two of them are SharePoint focused, and two of them are from the MCSD: Web Application part. 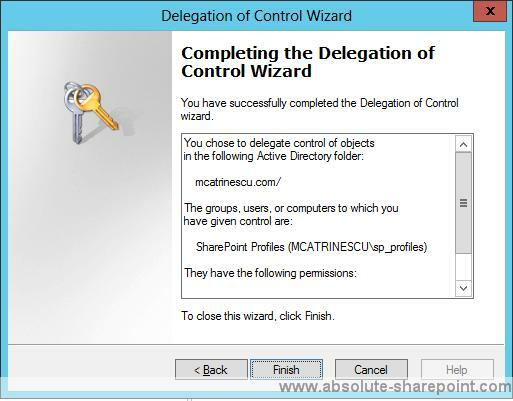 Edit: The MCPD SharePoint 2010 to MCSD SharePoint 2013 Upgrade path has been leaked! Also, The MCSE and the MCSD are subject to the new “Recertification” strategy that came out in April.For the MCSE, it is confirmed at 3 years. For the MCSD, I am not 100% sure yet, however the other MCSD exams it’s every 2 years. 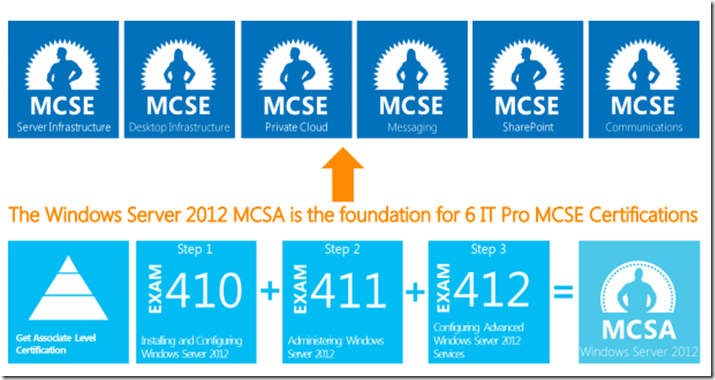 If you know anything else about the MCSD Certification path, or have any questions, don’t hesitate to send me an email! 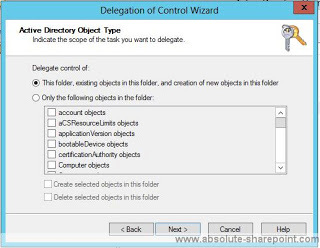 Before SharePoint 2010, the only way to manage SharePoint at the command line was Stsadm However, in SharePoint 2010 and later, Stsadm was depreciated and replaced by PowerShell. 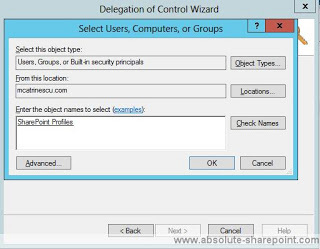 In SharePoint 2013 Preview, Stsadm still there and can be used, however Microsoft suggests to use PowerShell commands instead. Therefore if you are still using Stsadm, Microsoft released a list of all the Stsadm commands and their equivalent in PowerShell to encourage you to make the switch. Also, if you missed it, Here are the top free resources for SharePoint 2013 that came out in October.